Why is it called Masizzim ? ‘Masi’ means delicious and ‘Jjim’ means steam, hence Masizzim. 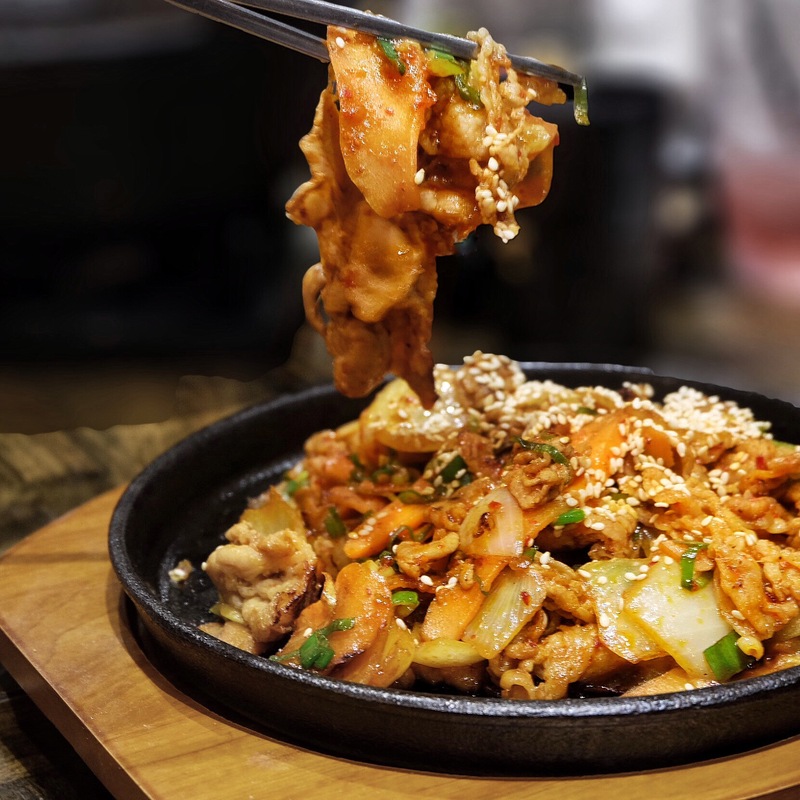 Located at somerset 313 basement, this Korean restaurant has gained its fame with its meat stews and DIY rice balls since last September. Last Month, they have launched additional items to capture our hearts once again! Crab Meat & Roe Rice Ball [$10.80] DIY rice balls with snow crab meat,shrimp roe, medium grain white rice, korean black rice, barley, seaweed crumbs, crushed chilli padi and furikake. The amount of crab meat is generous! My favourite is still the anchovy one though! Kimchi Beef Rib Soup [$16.80] Must Try! Spicy kimchi soup with slow-cooked beef rib, radish and egg. The Beef is so tender that it literally melts in your mouth! Don’t believe? Try it! Spicy Seafood Stew[$36.80] Clam soup as base, this seafood stew is definitely a sweet and tasty one! There are other seafood such as squid, mussels, prawns and crayfish, slowly boiled in Masizzim’s secret recipe sauce! This is customisable with 4 levels of spice, and you can go with either glass noodles or korean udon! I recommend to go with the latter! Spicy Seafood Beef Stew[$38.80] Must Try! Not sure if you should order the beef rib soup or seafood stew? Fret not! This is a combination of seafood and beef! Soup is rich and tasty ! Honey Mustard Cheese Egg Roll [$9.80] Must Try! Look at that cheese! Eat it while its hot! Omelette is filled with melted mozzarella and cheddar cheese, topped with money mustard. Soooo good! 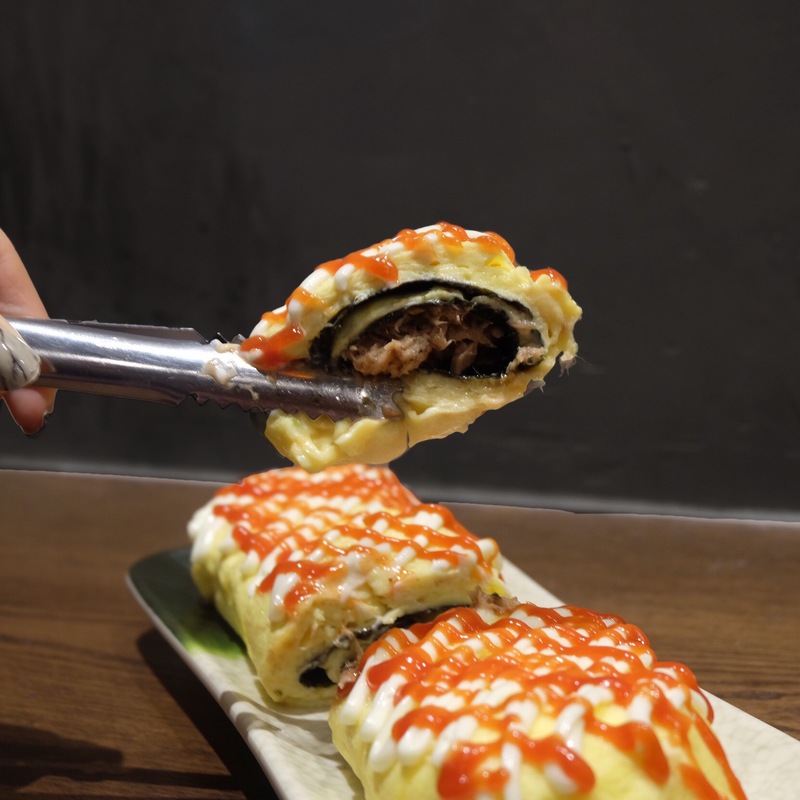 Tuna Seaweed Egg Roll [$10.80] Rolled omelette stuffed with seaweed and tomato-flavoured tuna flakes! I prefer the Honey Mustard one though. Spicy Pork [$14.80] The marinated pork belly stir fried with carrots, onions, sesame seed and Masizzim’s social sweet and spicy sauce. This dish is only mild spicy. Grapefruit Yogurt[$14.80] Must Try! 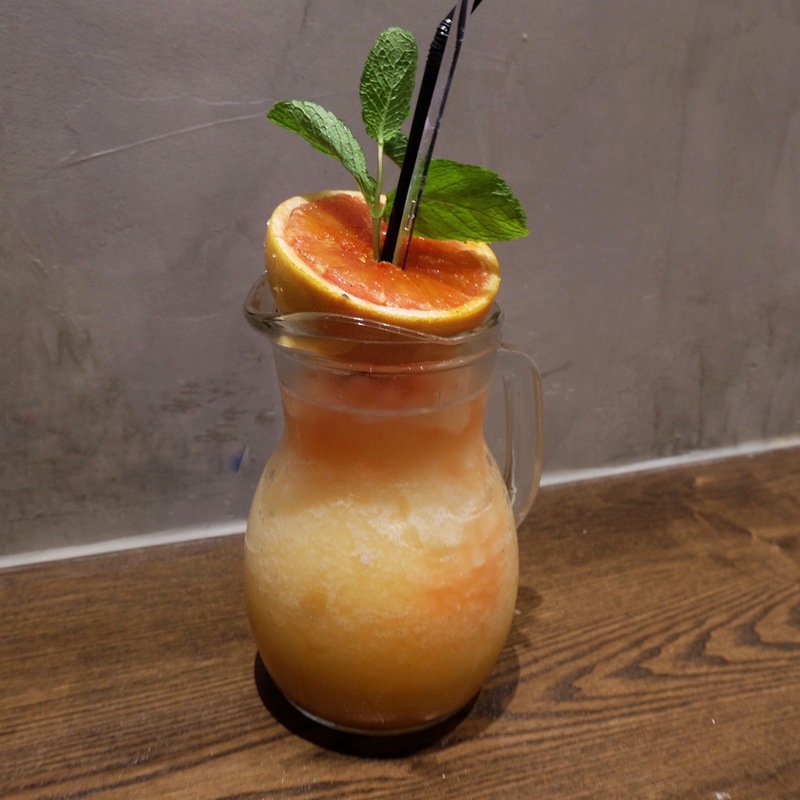 Half grapefruit that was topped with sugar and torched it, this refreshing drink is definitely a must try! This is a non alcoholic drink but you may add soju at additional $4. 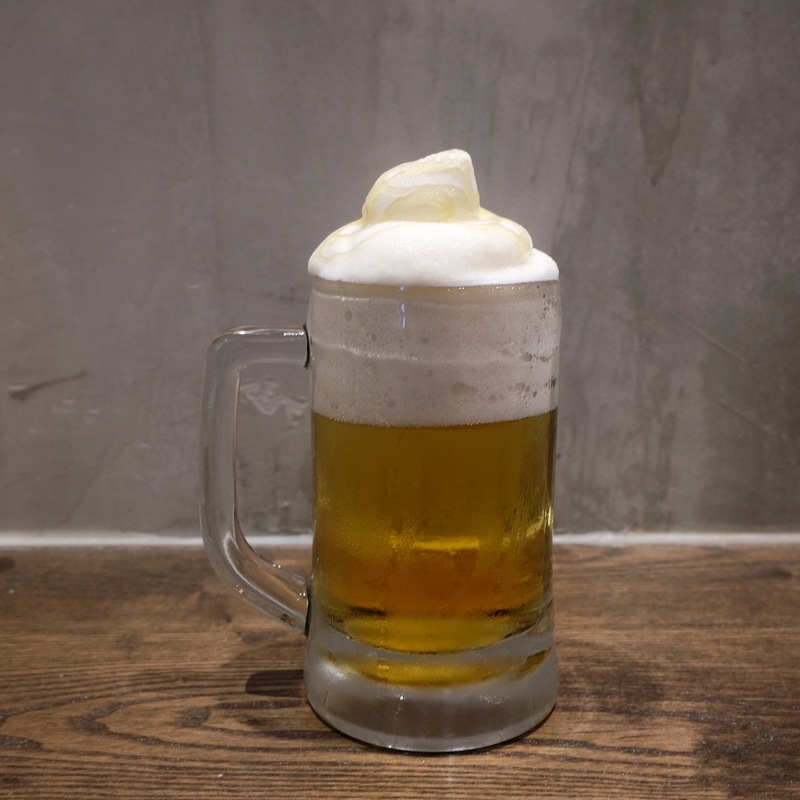 Normal Slush Beer [$13.80] Beer topped with icy beer slush, drizzled with honey (Optional)!